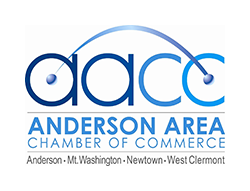 Anderson Area Chamber of Commerce hosts Employment Law Issues Roundtables quarterly, giving its membership access to Employment Law experts and information that would otherwise cost hundreds if not thousands of dollars. In addition the Anderson Area Chamber of Commerce has partnered with LaRosa's Family Pizzeria to provide a free lunch for all attendees. The event is free to attend and a complimentary lunch is provided by LaRosa's Family Pizzeria.